Native Instruments has a set of devices designed to put digital music production—and its own software—within reach of even more users. 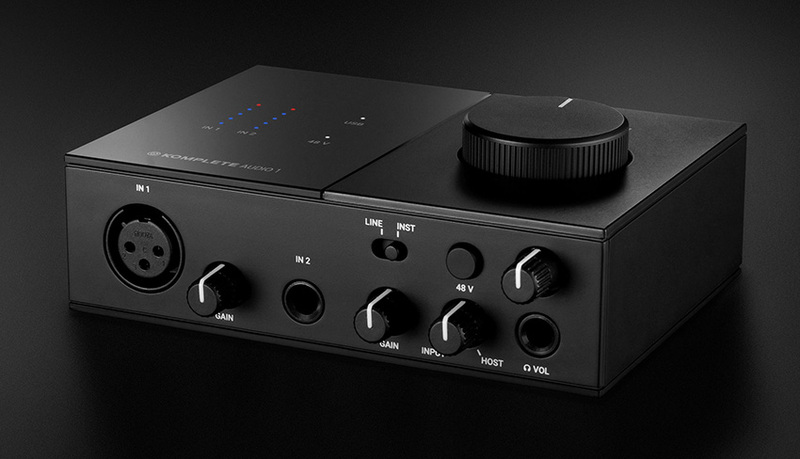 Two new, straightforward audio interfaces and a 32-key MIDI controller put a premium on ease-of-use, and each comes with a hefty suite of free software. The Komplete Audio 1 ($109 USD) and Komplete Audio 2 ($139) interfaces are the same in all but their inputs and outputs. 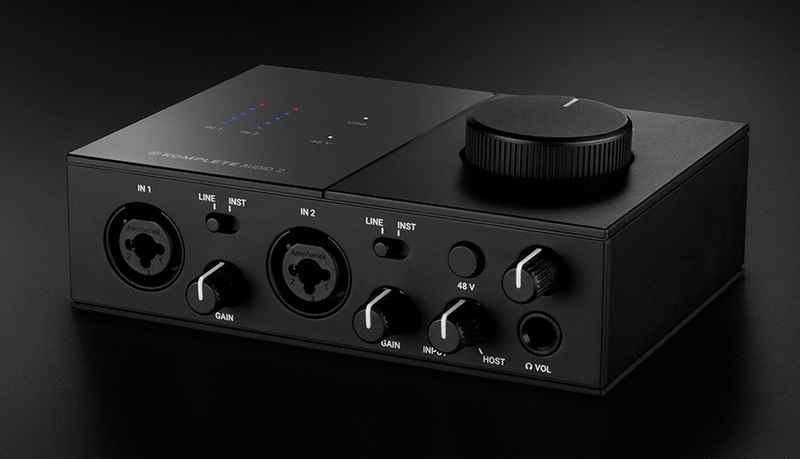 Audio 1 will come with one XLR input and one instrument/line input. Two stereo RCA outputs allow you to monitor easily through home audio speakers, as opposed to studio monitors. Audio 2 has two of the XLR/instrument/line inputs commonly found in entry-level interfaces like Focusrite's Scarlett 2i2. The outputs are also the standard 1/4" outs that will connect to studio monitors. Both interfaces come with Native Instrument's Maschine Essentials, Monark soft synth, an effects suite, Komplete Start, and Ableton Live 10 Lite. Additionally, it comes with a two-month free subscription to the Sounds.com sample and loop libraries. Komplete Kontrol M32 ($129) is a compact, 32-key MIDI controller that will work with any software program, but will connect easily and intuitively with Native Instruments' software and virtual instruments. The M32 also comes with Ableton Live 10 Lite, Maschine Essentials, and the Monark soft synth, but also includes Komplete Kontrol software with a built-in sampler, along with Native's Reaktor Prism synth and Scarbee Mark I electric piano virtual instrument. Check back soon for availability. For all the latest news and product releases from the NAMM 2019 convention, check out our ongoing coverage.